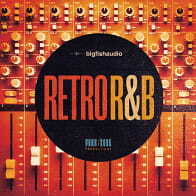 Future Loops is proud to release True RNB Playaz, a luxurious collection of R&B kits perfect to produce silky smooth grooves. 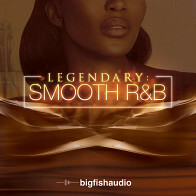 We packed True RNB Playaz with all the elements to mix top-charting, fresh and seductive R&B tracks: Beats, Bass, Strings, Synths, Keys, Pads, FX, Percussion and much more! True RNB Playaz will delight all Hip Hop and RNB producers with its radio ready kits which include all the standalone components, drums hits and multi track drums! With over 2.5 GB of original WAV & REX content you have plenty of variety to work with and create some sweet baby making tunes! Tempos range from 62 BPM to 81 BPM. Drum Multi-Tracks // Kicks, Hats, Claps, Snares, Percussion, etc..
Loop Elements // Bass, Piano, Synths, Arpeggio, Strings, Guitar, Leads, Pads, FX and more! Drum One Shots // create your own beats! The Following End User License Agreement is included with True RnB Playaz. This License is only valid for the individual who has purchased an unopened, new and lawfully made copy of True RnB Playaz from a dealer or distributor authorized by Big Fish Audio.